Packaging Company Web Design MI. 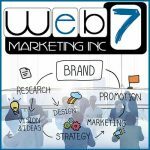 Looking for the best web designers & SEO firm in Michigan? WordPress web designer in Clarkston, Southfield, West Bloomfield, Grand Blanc, Rochester & more. Call today 248-507-4420.